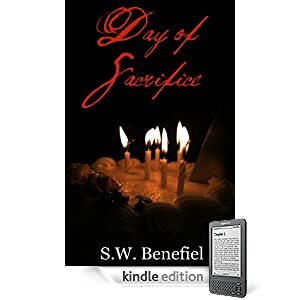 Today I have 5 copies of the Kindle edition of Day of Sacrifice by Stacey Wallace Benefiel, the author of the Zellie Wells trilogy that starts with Glimpse. Note: Although this is the Kindle edition, it is DRM-free, and so can be converted with a program like Calibre to be enjoyed on a variety of devices. With only three days left until her twenty-first birthday, her Day of Sacrifice, Flora Hamilton should be living it up. But when another Supernatural family puts a hit on her she’s forced to go into hiding with Julian, her gorgeous new Guardian Angel. Sometimes running for your life isn’t so bad. Day of Sacrifice is a short story of approximately 15,000 words. It is intended for adults due to language and sexual situations. Feel free to use the tweet button below and replace the suggested text. Don’t tweet? You can also make a status update for Facebook, or add the book on Goodreads and leave this statement as a temporary review. Step 2: Leave your links in the comments. You’ll get one chance for the comment (no addition promo necessary) and one chance per link; limited to one prize per person. Comments made after 9am on December 15th will be excluded. The prizes will be sent out tomorrow morning using Amazon’s Gift as a Gift feature and the email address associated with each winner’s comment. P.S. To get the link for your tweet, click its timestamp. A new window should open that displays the single tweet. Copy the address from your browser’s address bar. P.P.S. Helen Smith is trying to get the word out about a BUNCH of giveaways she’s doing on her blog this week. If you’d like to score some free reads, why not check it out? And if you’re blogging this week and have some space to spare, tell your friends. I understand that if you send her email and tell her you blogged about it, you’ll be entered to win an Amazon gift card. P.P.P.S. Sorry, the post-scripts are getting ridiculous. 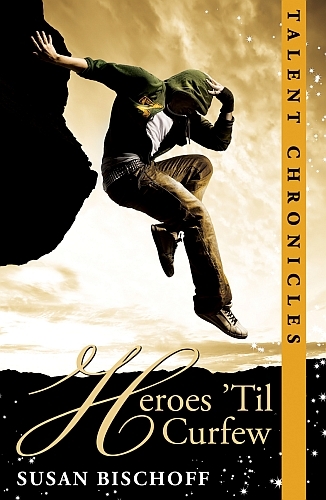 But this morning I read a fabulous article by author Holly Lisle. Especially for those of you waiting to get your hands on Kristen’s social media book (see yesterday’s post), many will enjoy this article on “Your Online Presence” and the theories behind how Holly works to create one of the most engaging fiction sites out there. It’s a long article, but it’s all worth reading.